Galley Wench Tales: We’re baaack! are antiquated. Here, they’re still viable. “Is there cell coverage in the Jumentos or Ragged Islands?” I asked a few telecommunication folks. “”Yes, it’s getting better all the time. 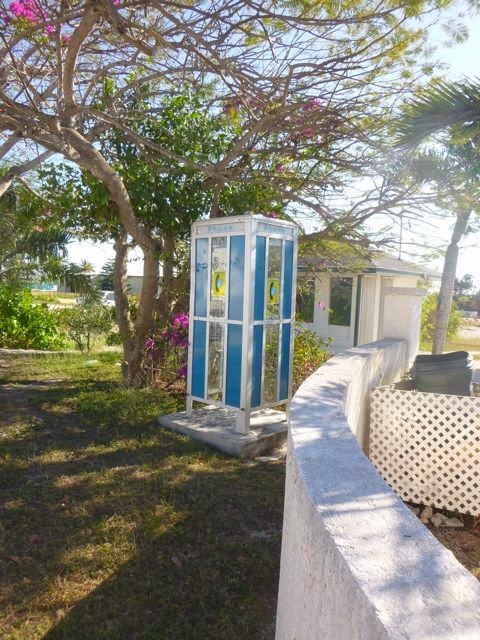 There’s even a BTC [Bahamas Tele Communications] in Duncantown [Ragged Islands, population 70]).” After checking near daily for a restock to come in, I paid BTC (aka Batelco) $99 for an Alcatel Droid phone / WiFi hotspot, plus bought 2 $30 2 GB packages for cell-tower-based WiFi access. I was optimistic. I was excited. I was silly. So what if US cell phone coverage often reached well out into our waterways? This was the Bahamas. I did. But I have my hot spot, I thought…. Did I mention Wayne was right? “Why didn’t tell me in Georgetown when I asked about the Raggeds?” I asked. “They don’t know in Georgetown,” Sharon explained. “Buena Vista, Double Breasted and Water Cay all sometimes work. Don’t forget to reset your phone when you leave the area, though.” Aha! Thanks Sharon! Thompson Bay, Long Island: good thing we used the cell phone hot spot at night; it was out by morning. -- March 21-22, 2014. Worked the 21st; down the 22nd. Water Cay, Jumentos: no cell phone service. -- March 22-24, 2014. Flamingo Island, Jumentos: no cell phone service. -- March 24-26, 2014. Buena Vista, Ragged Islands: limited cell phone service. -- March 26-28, 2014. Hog Cay (Duncantown area) – March 29 – now… works now that we know….